My name is Hagit, it's in Hebrew. I was born in Israel, raised in Nigeria, and am currently living in California with my husband and two kids. I'm a self-taught artist, I teach art journaling and mixed media in my colorful home studio in Sunnyvale, California, my work has been published in this lovely book, featuring artists from all over the world, and I believe with all my heart that absolutely anyone can make and enjoy great art. That is also my goal, to make art accessible, playful and fun! 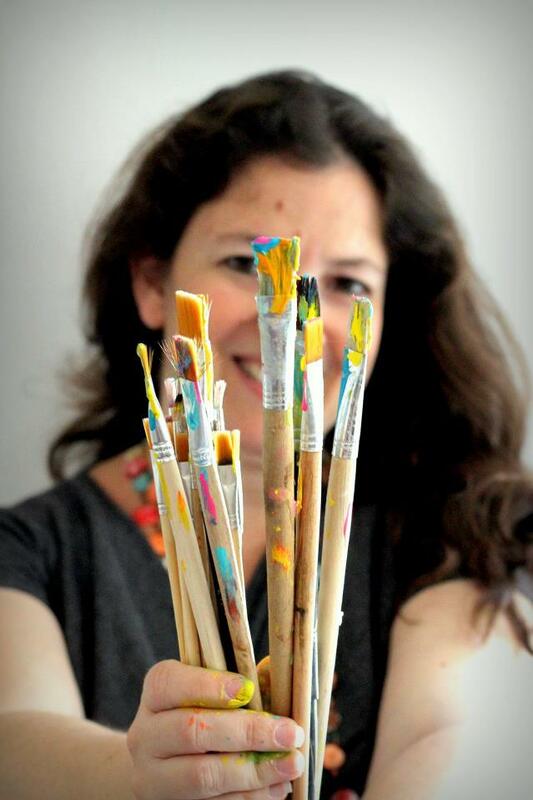 I hope you enjoy my blog, sign up to my newsletter, and if you'd like to book a workshop, team-building event, or hear me talk about art from the heart, drop me a line at hagit.rozanes@gmail.com.